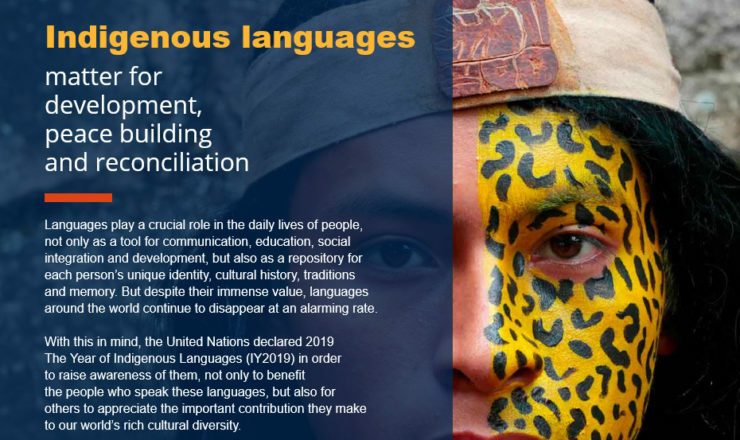 In addition, UNESCO is collaborating together with FILAC(link is external) and Ecuador in the side events organized in the context of the Forum to present IY2019 and the wide range of partnering opportunities to indigenous organizations from all regions, Member States and indigenous media. This entry was posted in Language Preservation and tagged Indigenous languages, international year of indigenous language, Last Real Indians, LRInspire, Native language by lrinspire. Bookmark the permalink.